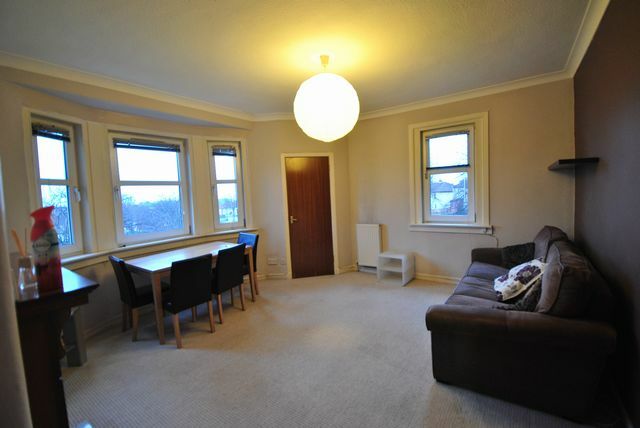 Extremely well presented top floor one bedroom flat in Restalrig. This property has been upgraded to a good standard with a well appointed fitted kitchen with all white goods. There is a small breakfasting bar which is well suited for quick bites. The living room is a very good size with a bay window and a feature gas fire place. There is the added benefit of dual aspect windows providing plentiful natural light. The soft furnishings and decor are contemporary and in very good order. There is a large double bedroom to the back of the property with lots of built in storage complimented with modern units and matching double bed. The bathroom has been newly fitted with shower over bath and modern fixtures and fittings. The property benefits from gas central heating, double glazing. It is street parking and there are communal and private gardens. Local amenities include local shops, cafes. There is pubic transport links to the city centre and outlying areas. COUNCIL TAX BAND: A. Landlord Registration: 335641/230/09381. EPC Pending.